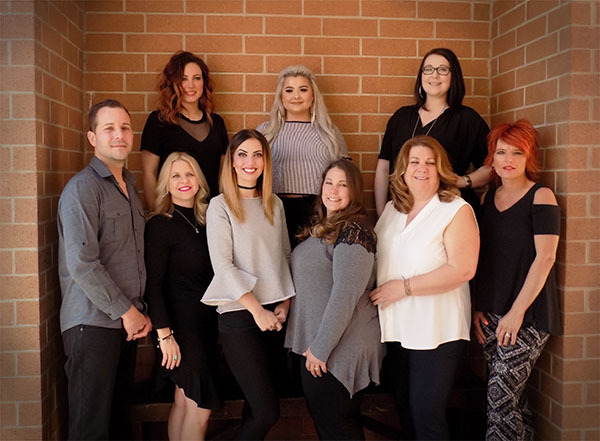 The Wella-certified professionals at Rocksie Hair Studio help you define your look in a relaxing atmosphere. We offer free consultations. Pricing may vary upon stylist experience. It’s our job to help your inner beauty shine. Why not have a little fun at the same time? All special events must be reserved ahead of time. We also offer on-site services for weddings and events with a complimentary consultation. Prices may vary. A deposit may be required. Please call us at (724) 473-8530 for more information. Thermal Ionics — Hair straightening system starting at $100 per hour. Consultation required. Hair Extensions — Gain length, fullness and dimension. Starting at $250. Consultation required. *All chemical services do not include haircuts or styles. Please ask your stylist for pricing.